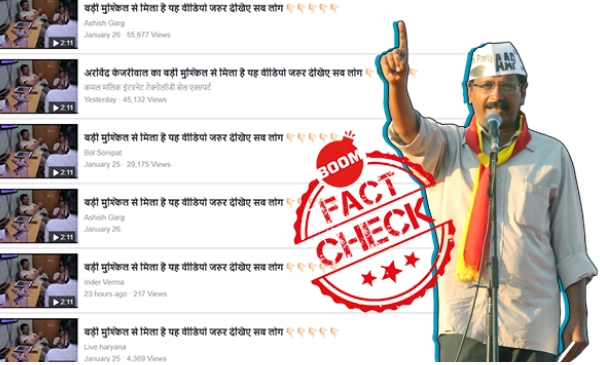 An old video of Delhi Chief Minister Arvind Kejriwal has been revived on social media with misleading context. An old candid video clip of Arvind Kejriwal, which also features in a documentary about the Aam Aadmi Party, has been revived on Facebook claiming to be secretly filmed footage of the Delhi chief minister. The video, which has Kejriwal along with former political ally Kumar Vishwas and others, shows them in happier times sharing a few laughs. The clip shows a relaxed Kejriwal watching a video being edited. Later, we see Kumar Vishwas, who appears to be recording a voice over, speaking to Kejriwal in Hindi. The duo are having a conversation on issues related to the campaign ahead of the Delhi polls. 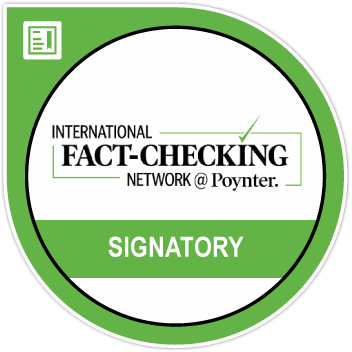 The archived versions of the post can be accessed here and here. While the message implies that the footage was meant to be a secret, the video is nothing but a clip from the 2017-socio-political documentary ‘An Insignificant Man’, which traces the journey of the Aam Aadmi Party from a movement to taking the reigns of Delhi in the 2015 Delhi legislative assembly election. 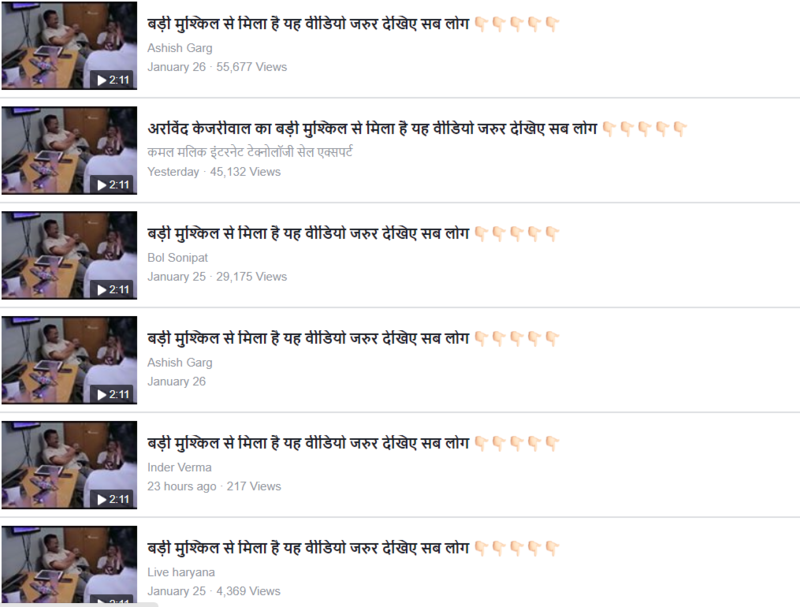 This is not first time that the video has gone viral. 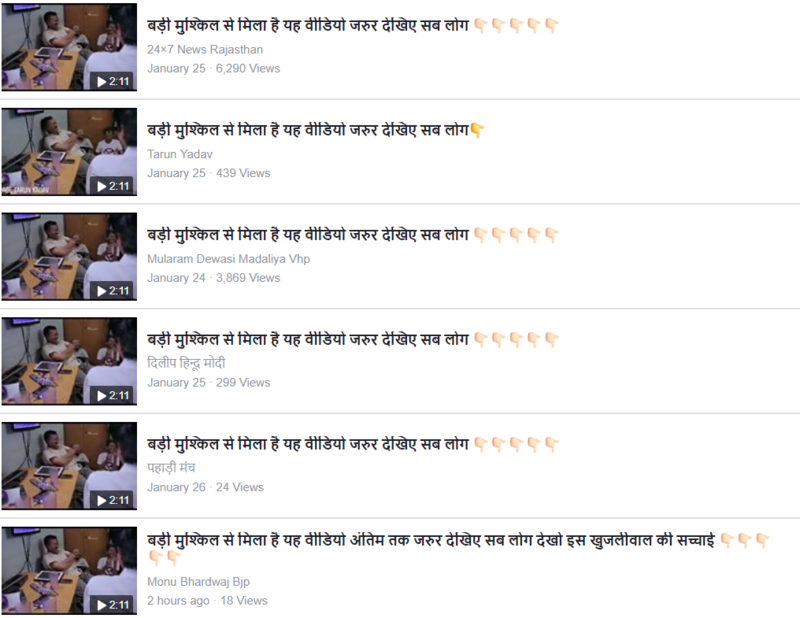 The same video was earlier posted on Facebook page Mission Modi 2019 में अपने 100 मित्रों को जोड़ें on February 4, 2018. The post had been shared over 1,70,000 times since then. Clipped from the documentary An Insignificant Man, you can see the visuals below. It was also debunked by ABP News’ Virach Sach in 2018.